measuring only 1.25 x 1.05 mm has just arrived. 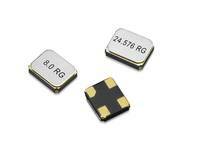 Produced in a case with only 2.5 x 2.0 mm and a maximum height of 0.7 mm, the GEYER Ultra-Miniature SMD TCXO is predestined for ambi-tious applications in the field of Telecommuni-cation, Radio Technology and GPS-Telemetry, boards with high packing density and only limited space is available for the oscillator. 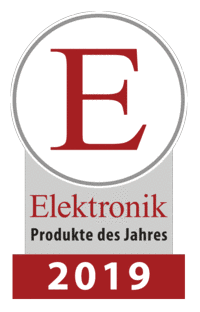 Using our new Spread Spectrum Oscillator KXO-56 will help to avoid any trouble with electromagnetic interference (EMI) in your application and will help to increase the electromagnetic vulnerability (EMC). The case size is 5.0 x 3.2 mm at a height of only 1.2 mm and there with very common case size - suitable for you project also. Frequency range is available from 1.0 MHz and up to 134.0 MHz. Supply voltage is 3.3 V. Center Spread (+/-0.5 % to 2.0 %) and Down Spread (-0.5% to -4.0 %) graded in small steps of 0.5%.